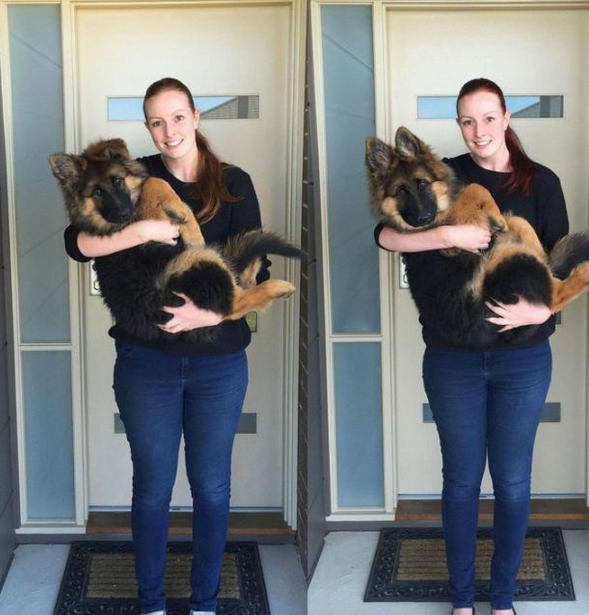 Puppies don’t stay that way forever, they become full-size dogs pretty quickly. But the rapid change is beautifully captured by these six images. 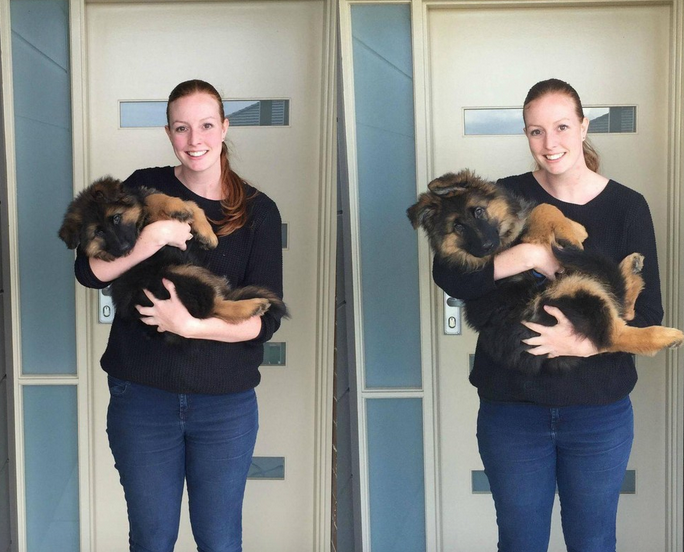 Ashley Williams decided to document the growth by taking a monthly image of her German Shepherd and comparing the results. It all starts out rather slowly. The pup grows into her ears. 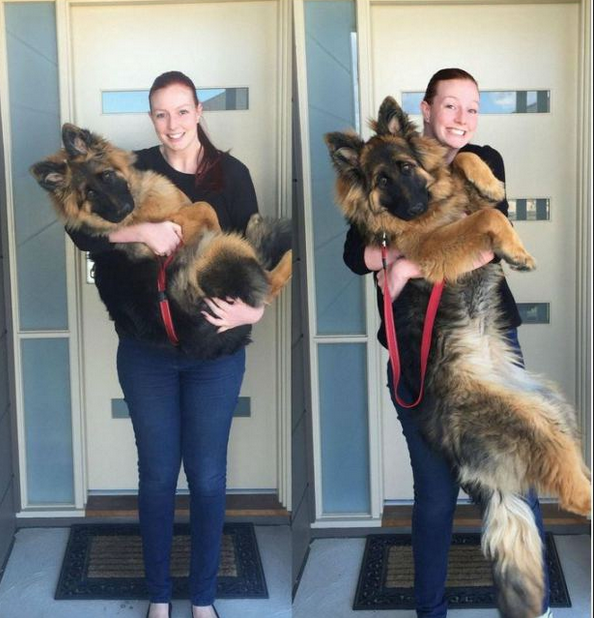 Then out of nowhere it seemingly doubles in size over the final month. Lewis told The Dodo that the laid back canine’s development went largely unnoticed until they looked back at the pictures. 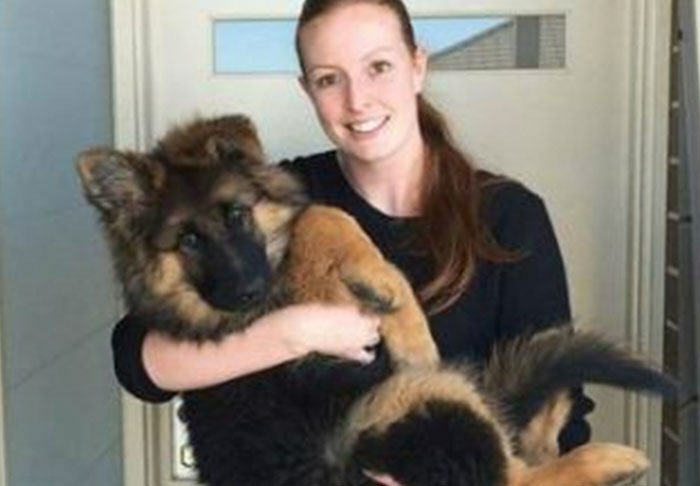 If that dog were an athlete I’d be testing it for growth hormones.